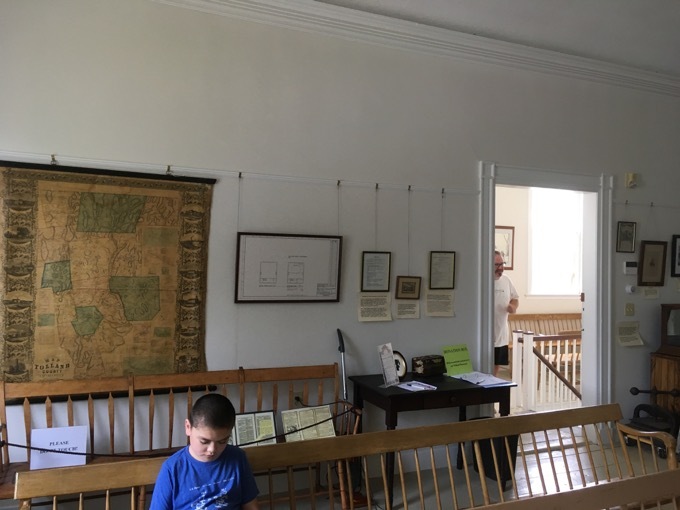 Visiting the Old Tolland County Courthouse Museum on its own would be ridiculous. 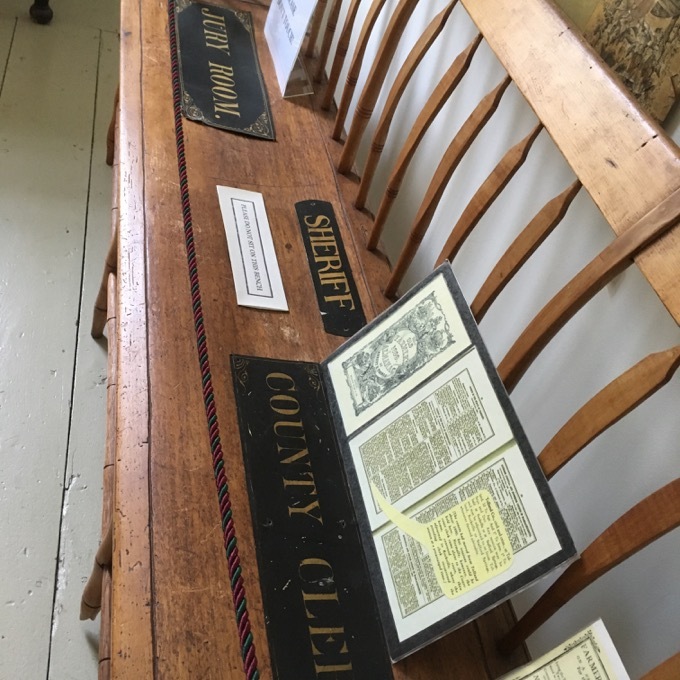 While it is a standalone museum with its own personality and history, I highly encourage you to pair your visit with the Old Tolland County Jail and Museum across the street. Not to dump on the courthouse here at the outset, but c’mon. It’s an old courthouse. The other museum and jail are, how do I put this delicately… um, infinitely better. 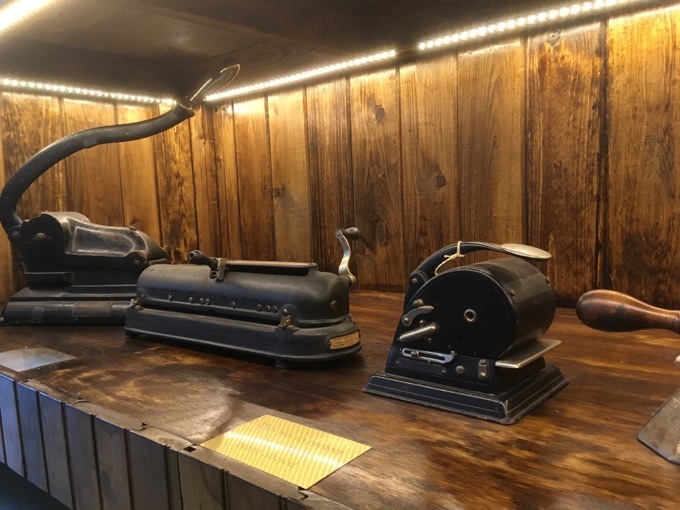 Both are owned and run by the Tolland Historical Society, along with a another museum in town. Damian and I visited the rather lovely old courthouse one Sunday afternoon and were greeted by a woman vacuuming up the joint. Unfazed, we forged ahead after pausing to note that the lower level of the courthouse is occupied by the French Canadian Genealogical Society Of Connecticut. I suppose if you are French Canadian, the courthouse is a more interesting stop than the jail museum. Neither Damian nor I are French Canadian. 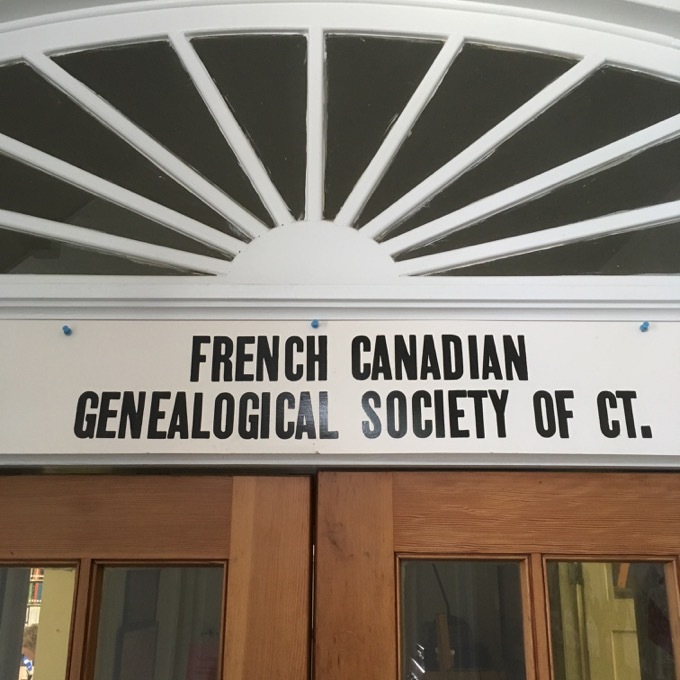 But if I was, I’d probably have them change their name to the French CanadiEn Genealogical Society of Connecticut. The stairs up to the courthouse are moderately steep and quite long. Sometimes I forget how much this freaks Damian out. He made it up them fine, but upon leaving, he froze, paralyzed with fear and I had to hold his hand and slooooooooooooowly make our way down. Anyway, vacuuming lady paused her vacuuming and welcomed us warmly. This is a museum in the sense that it’s an old building and the building itself is the museum. For there are not too many exhibits here. The docent was perhaps most excited by the original Palladian window that looked out across the street at… the more interesting museum across the street. 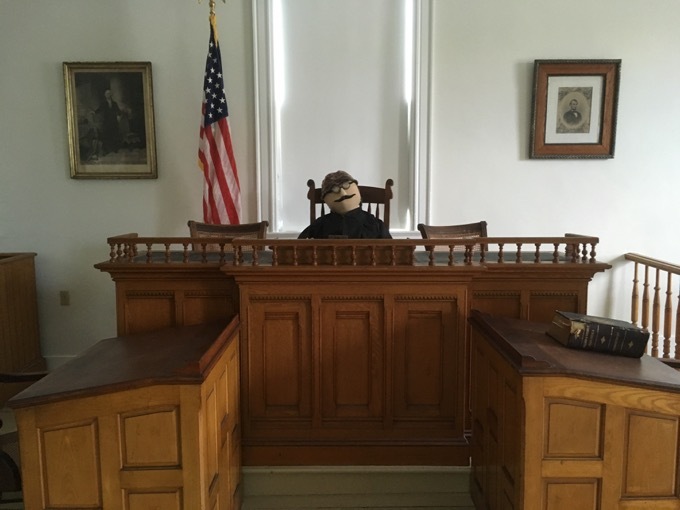 The courtroom has been restored to its original 19th century appearance which, quite frankly, really isn’t all that much different than a 21st century courthouse. There are benches, and judge place and some bannisters for the barristers and… a really cool jail across the street that… sorry, did it again. 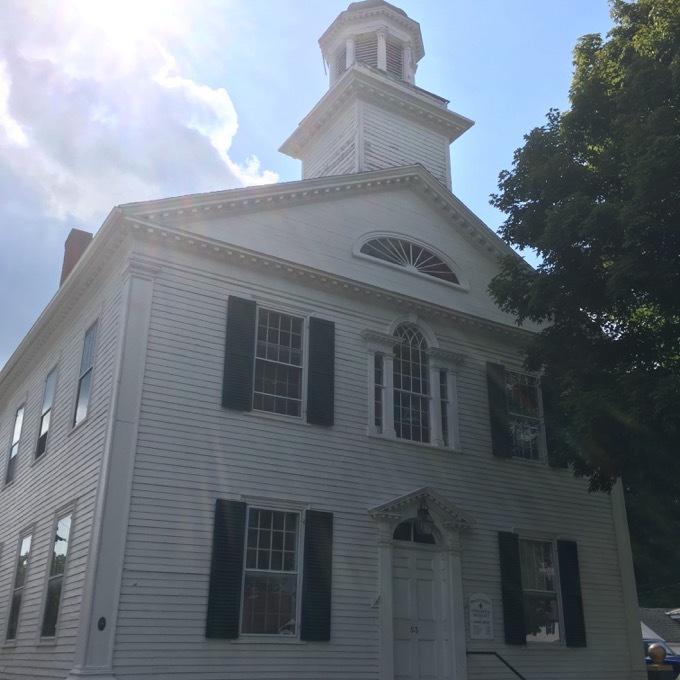 Early civic buildings are rare in Connecticut, and this beautiful 1822 courthouse has been called one of the five most important remaining examples. 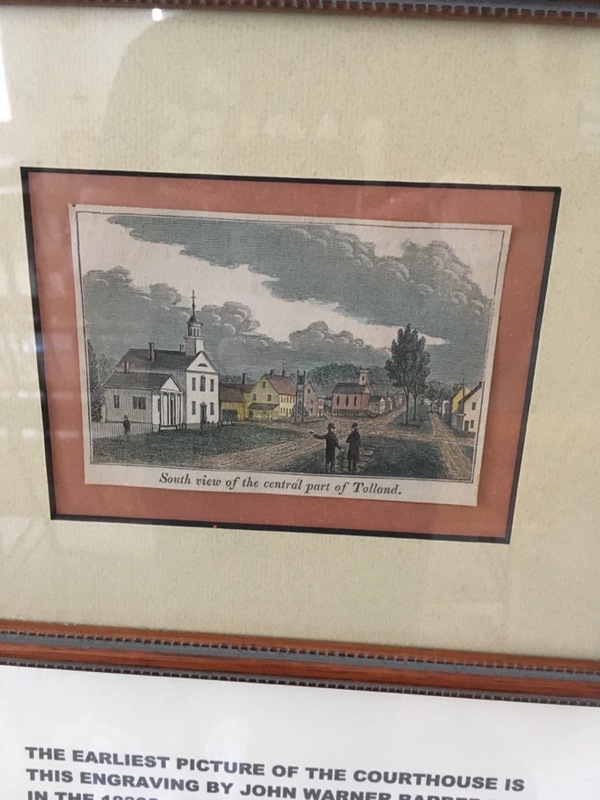 It replaced an earlier building built in 1785 to satisfy the requirement of the state that the town must provide a courthouse and “gaol” in order to be designated as the Tolland County Seat. All courts in Tolland County were held here until about 1890, when they relocated to the new Memorial Building in Rockville. In 1899, a library opened on the first floor, the town’s public library until 1985, when it moved to the newly renovated Hicks Municipal Center. 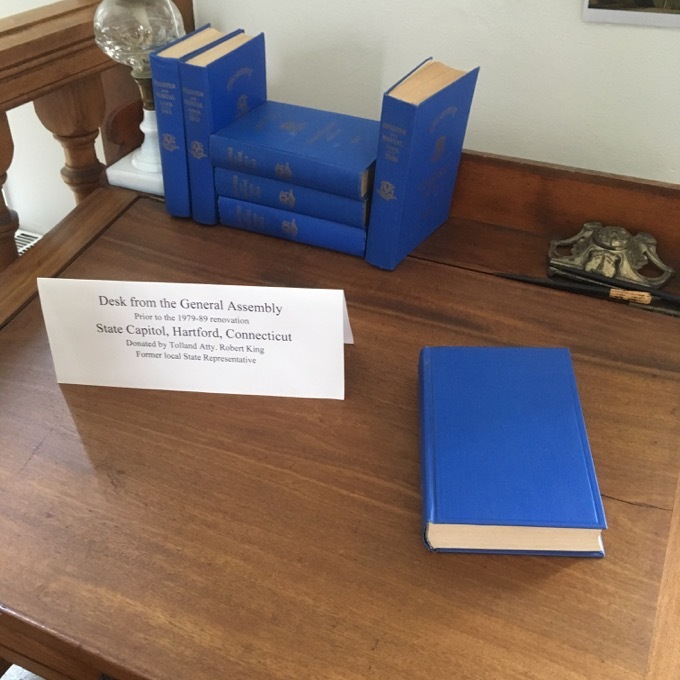 The building was given to the Historical Society by the Tolland Public Library Association in 2001, becoming the Society’s third museum. 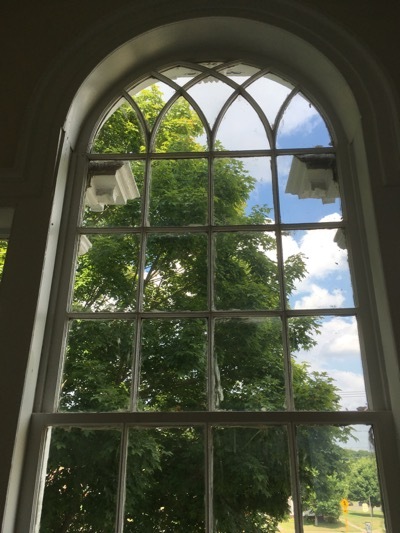 The second floor, with its cove ceiling and beautiful Palladian window, has been returned to working courtroom appearance. 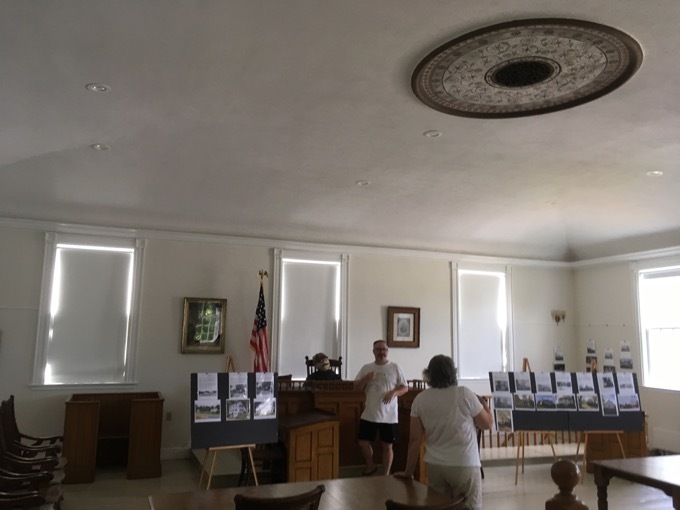 The back of the courtroom and the upstairs hallway contain exhibits related to the history of the building and the effects the presence of courts and jail on the growth of the town and its institutions. Oh, wow. No one told me it was one of the “five most important remaining examples” of… what? 1822 courthouses? Okay, I’ll buy that. 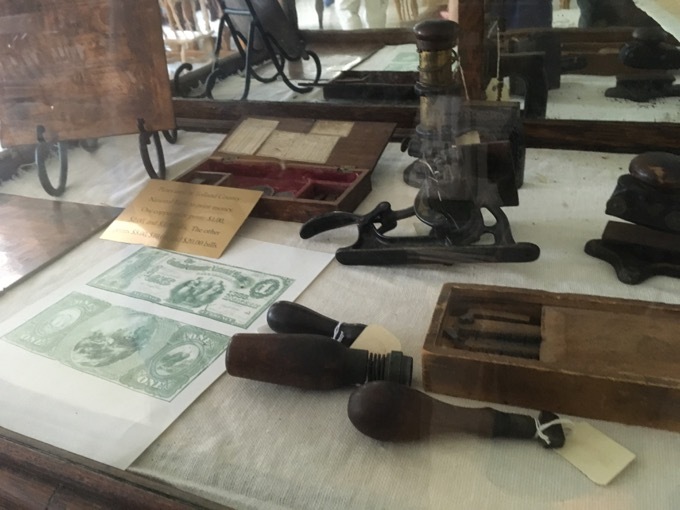 There was a small display of old Tolland newspapers. And a rather cool glass case containing old printing presses that made money back in the day. Tolland money back when Tolland money was a thing. And here’s a painting by John Warner Barber of the courthouse in 1930. And… then we let the nice woman get back to vacuuming. Again, joking aside, a visit to the courthouse is a nice prelude to a visit to the jail museum. You can follow the path of a prisoner! And in reality, Damian sort of was my prisoner as I had to grab his hand to cross to street and “force” him to go to another museum on this boiling hot July Sunday afternoon. An interesting note about the Courthouse building. The lower level was the Tolland Library from 1899-1985. Having moved to Tolland from New Britain in 1975, I found it very quaint (and crowded)!